Jupiter squares Pluto this Friday, Feb. 25 (1:40 PM mst), the last of three such difficult energies since last summer, activating possible spirited conflict, political dissension, governmental and ideological upheavals, the resurgence of severe conditions or treatment of others, international turmoils and continued weather anomalies. Jupiter as the harbinger of optimism, opportunities, faith, spirituality and long-journeying is being challenged and tested. Just look at the world news and you'll see that since July/August of 2010, there has been a wave of these national and international stirrings in government and the private sector, with citizens demanding better economic conditions and more say in the way they are governed. If there's an underhanded, devious and malicious play of emotions and actions, then the Pluto signature has surfaced with the outcome being a potentially positive transformation things that up until now have not been fully realized or acknowledged in the global community. Now the challenge is to air any grievances, missteps or injustices, and seek to find solutions. Whether in your own home, community, state or in other nations, these times and circumstances are part of the collective, affecting us all on some level, and certainly demanding creative solutions in order to bring peace and new directions for all who have sadly not had a say or have been dis-empowered from charting their own destinies. For example, this is the time to extend yourself, even energetically, to influence a better outcome for others, even if you don't personally know them. At home, your job or in your community resolve to be the change, be the compassionate one who takes the initiative, since everyone has a part to play. 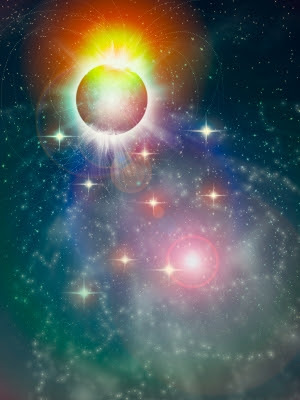 Pisces energies come to the rescue and offer a look at the big picture; what affects all peoples, as well as the greater possibility of resolving these old difficulties and injustices among world communities. With the personal planets of Mars, the Sun, Mercury and Chiron in the sign of the Fishes, all things are possible. There is nothing like a Pisces to bring the situation around to what may work for everyone, and to do that in the most gracious and previously unrecognized way. Creative solutions to complex problems come when we all pitch in and dig deeper in the collective soul to lighten our path. The truth will prevail, but it is not without some messes becoming larger, some conflicts taking longer, and those previously uninvolved beginning to be heard. To complement all this water energy are the planets and asteroids in earth: Venus, Pallas-Athena and Juno. Again, personal and international difficulties exposed and intensified by the influence of the outer planets are cooled and re-grounded by the elements of water and earth, which work amazingly well when chaos and conflict seem to prevail. That's why taking hot, soaky baths in the privacy of your own space or hugging a huge pine tree in the forest work so well. Writing in your journal, sketching in pencil or paint or making a collage about how you feel is good therapy to relive tension and stress in these circumstances. Playing instead of obsessing also works, and you can invent new ways to release pent-up anger through exercise, meditation or prayer and allow your fears and worries to subside. Coming to peace with the ugliness around you, even if you are the cause and not the solution is the challenge for us all right now. There is always room in your awareness to see how you are contributing negative vibes, disgust, criticism, an it's-not-my-problem or they're-doing-it-again attitude which precisely adds to the difficulty of coming to the creative answers we so need. Engage your nurturing mind, extend your amazing kindness in action, think compassionately and behave in larger ways to bring your world and that of all others to a higher loving and spiritual place. Settle for nothing less!! When Jupiter reactivates Pluto strongly and favorably again this summer, when both are in earth signs, sigh deeply, release what has just happened or is still transforming, and begin to see a brighter and more abundant future in all ways, for every living being and creature with whom you are so blessed to navigate this lifetime. How Jupiter, Pluto and all the other planets affect you personally now is seen in your own personal chart, so call and set up an appointment for a reading with me at 303-692-9299. Use the Knight of Cups in the Tarot as a focus for meditation. This knight can bring peace to the emotional intensity of this time.